The Ultimate Guide To Protein: How Much Do You Need Each Day? If you have been paying attention to the health and wellness world, you’ve probably heard the word “protein” more times than you can count. That’s because protein is essential to your health for so many reasons. But how much protein do you really need? You’d think it would be a nice, round number, but it’s a trickier question than you’d think. Before we get into how much protein you need, let’s discuss why it even matters in the first place. Think protein is blown out of proportion in the health community? Think again. Here are just a few important functions of protein in your body that you don’t even know about. Protein keeps your stomach doing its thing. “Almost half the protein we consume goes into making enzymes which help digest food,” according to Felice Kosakavich, chief clinical dietician at Cassena Care. That’s right—protein keeps up your stunning good looks! It’s needed to maintain hair, nails, skin, and muscle, says Kosakavich. Carolyn Dean, Medical Advisory Board Member of the Nutritional Magnesium Association, adds that your body is 16% protein, so stop eating it and you’ll be looking quite sickly indeed. Dean says that protein is needed to make things steamy in the bedroom by keeping your libido in check. Getting too hungry, too often? You may need more protein in your diet. According to fitness expert Rob Miller, proper protein intake has been shown to increase metabolic rate by up to 100 calories per day. According to Dean, motion literally depends on proteins in the muscles. That’s one of the reasons why a deficiency can make you feel weak—and why bodybuilders and athletes need so much. According to Kosakavich, protein is necessary for the body to build new cells and tissues. Barbara Wade, personal trainer, fitness model, and founder of Fit And Ageless Over 50 adds that it replaces worn-out cells, transports nutrients, and helps electrolyte balance. 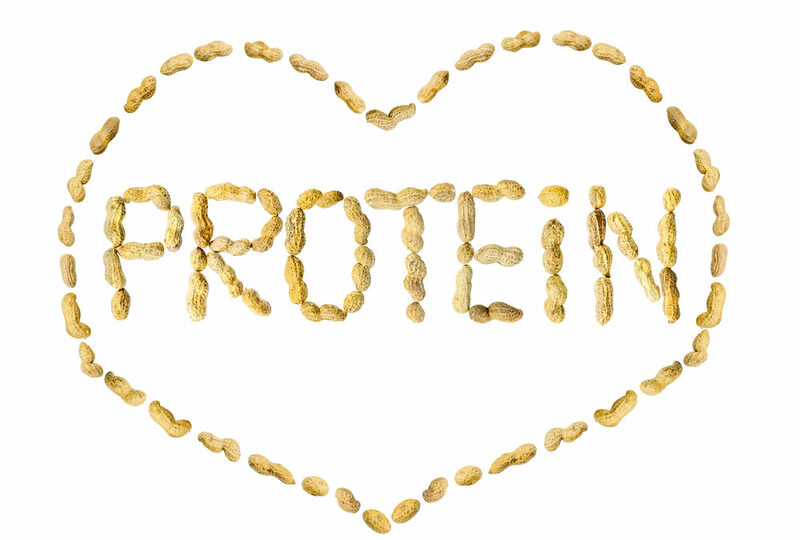 In a nutshell, protein is necessary to keep your body strong and healthy. But here’s what makes things complicated: you might be eating too much protein. “With all the buzz about protein, you might think Americans were at risk for not eating enough, but in reality, most of us eat more protein than we need,” says registered dietician and lead nutrition expert Rene Ficek. According to Ficek, Americans consume about twice the amount of protein than they actually need. “And when it comes to protein, more isn’t necessarily better,” she warns. Protein is often associated with rippling muscles. It is true that protein is essential in building muscles, but too much will lead to the opposite. “Eating large amounts of lean protein will not equate with a toned body, although that is what many supplement companies want you to believe,” says Ficek. Many protein-laden foods and shakes are loaded with calories, which are needed if you’re spending a lot of time in the gym. But if you don’t burn those extra calories, they’ll simply be stored as fat. 2. You can harm your kidneys. 3. You can weaken your bones. According to Jenny Evans, eating too much protein can make you lose calcium, which can increase the risk of osteoporosis. “The body can only process so much protein at one time,” says Evans. 4. Too much protein is bad for the heart. There are plenty of great protein sources out there. However, a note of caution: keep in mind that plant-based sources are better than animal-based sources. Our experts agreed that the following foods are a great way to get protein. A small three-ounce piece of meat has 21 grams of protein, according to the CDC. A typical 8-ounce piece could have over 50 grams! To get an idea of your portion sizes and avoiding eating too much protein, a three ounce piece of meat is generally the size of a deck of cards. Another good source of protein is milk—one cup has eight grams of protein. According to the CDC, one eight-ounce container of yogurt has approximately 11 grams of protein. Here’s one that you’re probably not taking advantage of: one cup of dry beans has about 16 grams of protein. So we’ve covered the importance of protein, the dangers of eating too much protein, and the best protein sources. But how much is the definite amount you should have a day? But what about the rest of us? Our experts gave us several ways to look at it. A good rule of thumb, according to Splaver, is the following formula. First, take your weight in pounds and divide by 2.2. That gives you your weight in kilograms. The number you get should be the amount of protein in grams that you need on a daily basis. According to Zulberg, you should get from 10 – 35% of your daily calories from protein. “That’s about 46 grams of protein for women, and 56 grams of protein for men,” he says. Pregnant or breastfeeding women need 71 grams a day. “Yes, while it is true that endurance and strength athletes need a little more protein than the average person, research shows us that protein needs are not as high as commonly perceived,” says Ficek. According to Ficek, power athletes need 1.2 – 1.7 grams per kilogram a day, endurance athletes need 1.2 – 1.4, and sedentary or moderately active adults need 0.8 – 1.2 a day. So Really, How Much Do You Need A Day? Unfortunately, this is a question that seems like it should have a definite answer, but does not. Using the above methods, take note of your activity level, your gender, your weight, your age, and your desired body goals. Then, be smart about how you eat. Protein is essential to living healthy and well, but it’s also important not to consume too much of it. Be kind to your body by keeping track of how much protein you take in and through what sources. Remember: it’s all about balance.